W. Peter Kurau is the Professor of Horn and Chamber Music at the Eastman School of Music as well as the Principal Horn of the Rochester Philharmonic Orchestra. He currently resides in Honeoye Falls with his wife, soprano singer Pamela Kurau. Kurau is an active soloist performing with many professional orchestra and ensembles. He has appeared in such events as the 2008 International Horn Society convention, the College Music Society convention, the Music Educators’ National Conference, and the Music Teachers’ National Association convention, as well as many others. When his teacher Verne Reynolds, a charter member and founder of the Eastman Brass retired in 1990, Kurau became his successor. 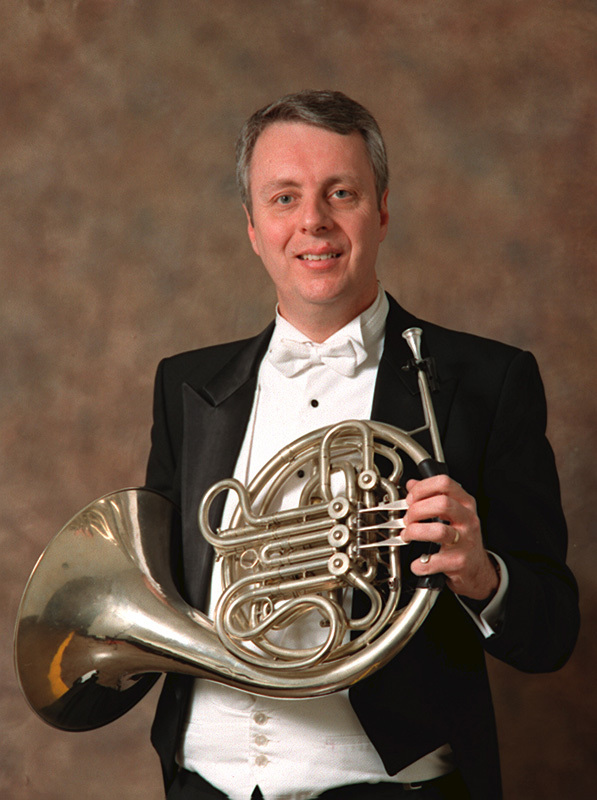 Peter Kurau first joined the Rochester Philharmonic Orchestra as Assistant Principal Horn (1983-1995), and was appointed Principal Horn in 2004. In 1991, he was the first soloist to perform as a recently discovered and reconstructed version of Mozart’s Rondo, K. 371 for horn and orchestra. He received his formal education at the Eastman School of Music, the Guildhall School of Music and Drama, Royal College of Music, University of Connecticut, and Florida State University, where his principal teachers were Verne Reynolds, David Cripps, and William Capps.